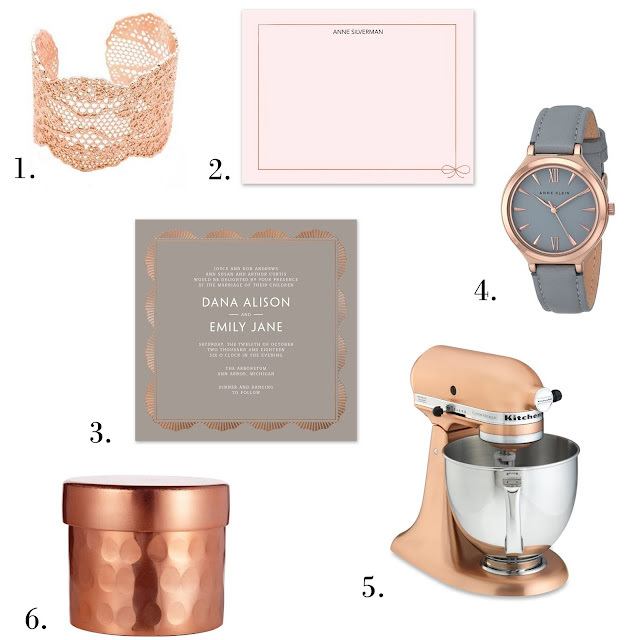 Everywhere you look, rose gold is making an appearance.This metallic hue is a luxurious way to accent anything from your kitchen to your stationery. We rounded up our rose gold favorites from around the internet to help you fall in love with the trend too. Let us know in the comments how you feel about this glam trend and how you're adding it to your life!